LITTLE ROCK, Ark. 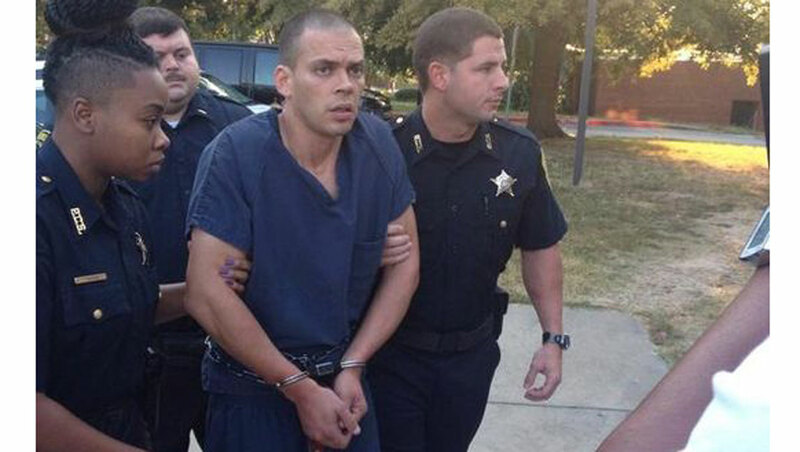 - A man accused of kidnapping and killing an Arkansas realtor denied the murder and told reporters victim Beverly Carter may have been targeted "because she was a woman that worked alone." The not guilty plea came hours after Carter's body was discovered in a shallow grave. Early Tuesday morning, investigators found Carter's body at Argos Concrete Company in a rural area about 25 miles northeast of Little Rock and more than 20 miles away from Scott, where she had an appointment to show a house Thursday but hadn't been seen since. Lewis, 33, spoke briefly to reporters Tuesday morning as he was taken from the jail to the sheriff's office, where he was interviewed again after spending more than 12 hours with investigators Monday. When asked by reporters why Carter, 49, was targeted, Lewis responded: "Because she was just a woman that worked alone - a rich broker." He denied killing her. During his walk from the sheriff's office to the jail, Lewis also claimed he had a co-defendant named "Trevor," but authorities told CBS affiliate KHTV that statement is unfounded and he is the only person charged in this case. When the search for her was still underway, Carter's husband told the station he knew something was wrong when he didn't hear from her for three and a half hours after she was scheduled to show the home around 5:30 p.m. Thursday. When he went to investigate, he said her wallet and purse were in her car, and the door to the home was open. Investigators reportedly found no trace of a crime there. "Her car was there, and the house was wide open, and I knew that something was wrong," her husband, Carl Carter, told the station. He said he received a text from his wife around 1 a.m. Friday, but it didn't sound like her. "All of a sudden I received three texts in a row. One said 'Yes.'... Then she sent another text that said, 'My phone's low. The battery's down, and I'll call you whenever I get signal.' ...And, then, straight back-to-back, I received a text that said 'Oh, I'm out drinking with some friends." His wife, however, didn't drink, he said. Pulaski County Sheriff's Office Lt. Carl Minden said Lewis admitted to kidnapping Carter, 49, but did not lead authorities to her body. He said investigators received a tip that led them to the concrete company where Carter's body was found.